Farrar, Straus and Giroux, 9780374100148, 912pp. 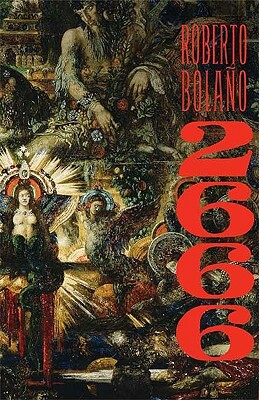 THE POSTHUMOUS MASTERWORK FROM "ONE OF THE GREATEST AND MOST INFLUENTIAL MODERN WRITERS" (JAMES WOOD, "THE NEW YORK TIMES BOOK REVIEW") Composed in the last years of Roberto Bolano's life, "2666 "was greeted across Europe and Latin America as his highest achievement, surpassing even his previous work in its strangeness, beauty, and scope. Its throng of unforgettable characters includes academics and convicts, an American sportswriter, an elusive German novelist, and a teenage student and her widowed, mentally unstable father. Their lives intersect in the urban sprawl of SantaTeresa--a fictional Juarez--on the U.S.-Mexico border, where hundreds of young factory workers, in the novel as in life, have disappeared. ROBERTO BOLANO was born in Santiago, Chile, in 1953. He grew up in Chile and Mexico City, where he was a founder of the infrarealist poetry movement. His first full-length novel, "The Savage Detectives," received the Herralde Prize and the Romulo Gallegos Prize when it appeared in 1998. Bolano died in Blanes, Spain, at the age of fifty. NATASHA WIMMER 's translation of "The Savage Detectives "was chosen as one of the ten best books of 2007 by "The Washington Post "and "The New York Times."